Bring the outdoors inside with this 3-piece vase set. 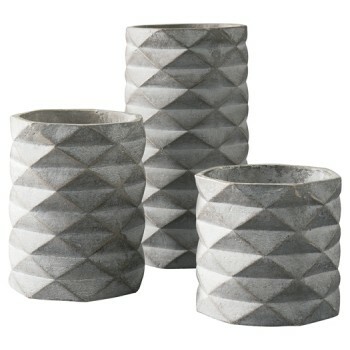 Geometric pattern is accentuated with faux concrete finish. Fill them with your favorite succulents for an urban industrial look.